Waterford Regional Hospital has become the first hospital to be awarded top marks under the new Health Service Executive hospital ratings system. The latest monthly HSE hospital ratings is being released today. The Health Stat rating system grades 52 voluntary and HSE-run hospitals using traffic lights - red for unsatisfactory performance, amber for an average performance, and green for a very good performance. The first green light since the rating system began has today been awarded to Waterford Regional Hospital. 50 hospitals received an amber grading. University Hospital Galway was the only hospital to receive a red light which signifies unsatisfactory performance requiring urgent attention. 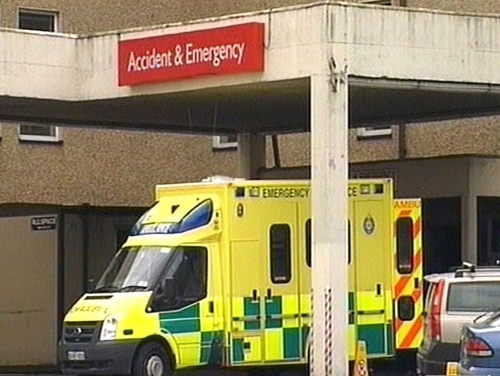 Hospitals are graded under three headings: 'Access', which covers waiting times services including emergency departments, diagnostics and outpatient clinics, 'Integration', which includes admission rates, discharges and average lengths of stays, and 'Resources', which covers staffing and absenteeism, radiology and consultant clinics and budgets.